Blogging is great for your business. It’s a great tool to gain links and visitors to your website and that all helps you rank higher in Google. It’s complicated, but Google likes an active, helpful site, and your blog should be both of those. Blogging also shows that you’re an expert and authority in what you do. When was the last time you engaged with a business before you Googled them?! Everyone does that, right? You head over to their website and find out more about them. I like to show people that I’m active and that I’m fluent in what I do and my blog – this blog – helps me do that. 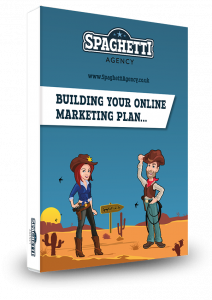 Blogging gets you more business… but how do you create a great piece of content? 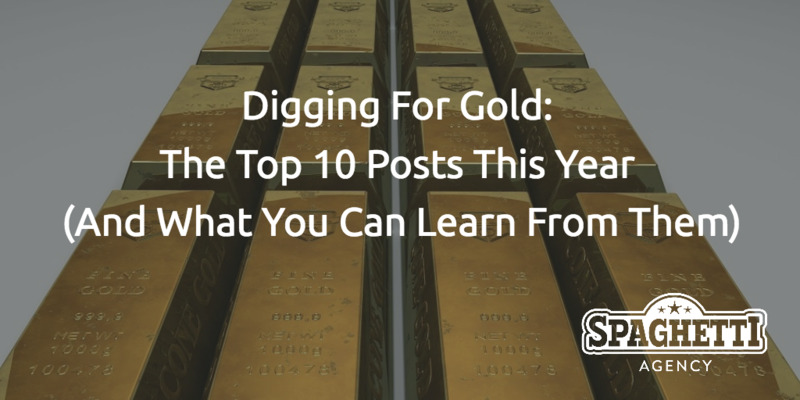 Each year I look back at our content and see what worked and what didn’t. I could keep this private, but I’m going to share it with you as it’s helpful and gets people to my website; I practice what I preach! So in at number 10 is a blog I kept meaning to write. 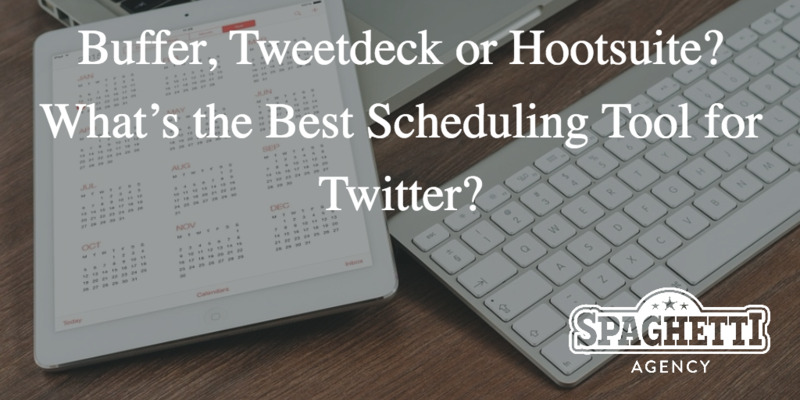 I always get asked “which scheduling tool is best?” in my workshops and at networking events too. I always tell people to create content around the common questions and the traditional FAQ-type content. It’s these little nuggets that everyone needs the answers to so they work very well as blog content, video content and more. Takeaway: What are the top ten most commonly asked questions in your business? You should blog about them in 2017! 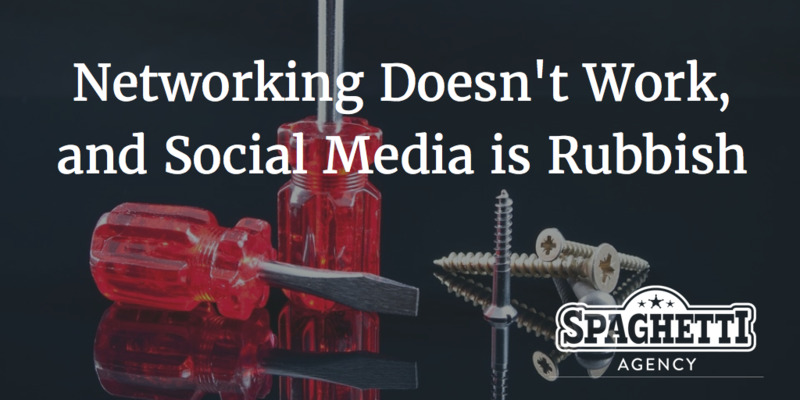 I often get told that social media doesn’t work, and this post was a little rant on my part, but the title worked well. It made people chuckle and there was a fair amount of chatter around this post on social media. It was also quite a shocking title from me when you think about it. And I suspect it caught attention purely because it’s not what you’d expect me to say. Statements like this in post titles work very well… you only have to look at the Daily Mail, One of the world’s most visited websites, to see this! Takeaway: Keep them guessing with your content and grab attention with titles. This was a very simple blog. It was short, sweet, and had a simple video showing you how to do it. I nearly didn’t create this blog. It was so simple to me… but that’s the point. What’s simple to you, isn’t simple to others. That means you can help people with a really simple post and look like an expert to the ones who need you the most. Takeaway: Don’t create content that impresses your competitors, create content that helps your ideal customer. This post did well. 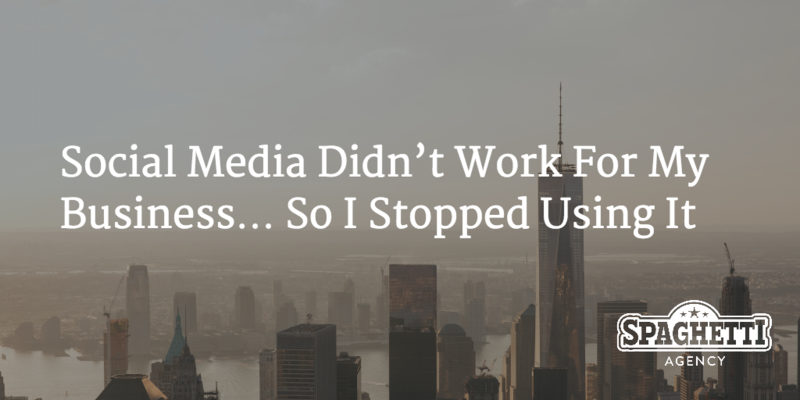 Just like the “Social Media didn’t work…” I used a formula on the title to make people think. But it also did well because I shared the post into some Facebook groups aimed at networkers. Aiming relevant content at a relevant audience works well. The blog is very tongue in cheek but does have some key learnings in it too. Takeaway: It’s ok to make fun of yourself and share some great content at the same time. 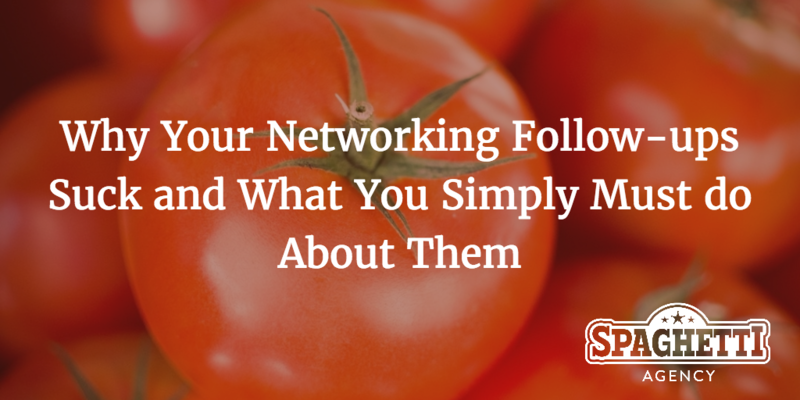 Some really juicy networking tips in this blog. 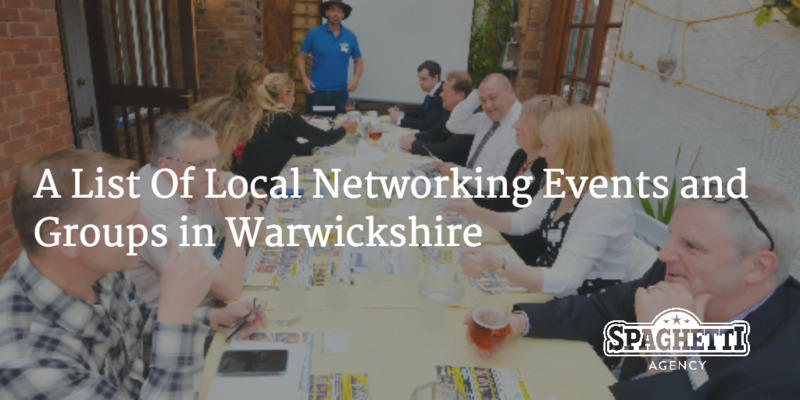 I run a networking meeting and have a networking organisation as a client so I know a bit about it. I like to help people in that network, so it made sense to create some content that many of them would see. This post is a very bold post with a title that shows a problem and a solution in one! Takeaway: Be brave! You will offend people anyway so be you, be yourself and speak your mind! This post gave away loads of secrets that I normally charge for. It gave away a section of our workshop and some content from a few talks that I do, too. But you have to give everything away for free. You have to prove that you know your onions and that you’re good at what you do. 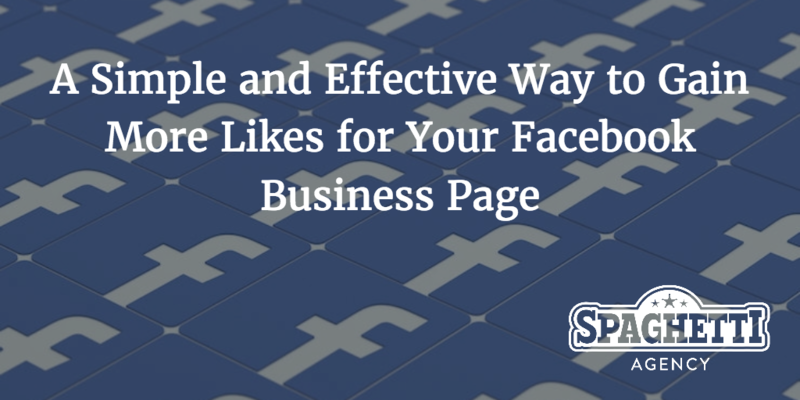 When I shared this, the comments on the post sold the click to the rest and lots of people shared this post on social media to their friends and connections, gaining me more kudos, more clicks and more traffic. Takeaway: Give everything away for free… it’s better that you share it than if your competition do! A list? Yes… a simple list. It’s not even long enough to be an email… well actually it was an email! Jo was constantly sending this list out and we thought – “we should really put this online”. This post is actually from 2015 but we updated it in 2016 and continue to update it. Go back over content that’s doing well and update it with new, relevant content – Google loves that! Takeaway: Update old blogs posts (especially ones that are gaining good traffic) as it makes them relevant now ans Google will love you for it! Just one tip? Are you sensing a theme here? The simple tips and tricks have dominated my content this year. People don’t have time. We’re all time poor. Create simple tips and tell them they’re simple in the title with “The one tip you’re missing” or “3 Things you can learn today”. You’ll get clicks if you help them out with the content, and then you’ll get shares from them, which I did with this one. Takeaway: K.I.S.S. (Keep It Simple, Stupid!) 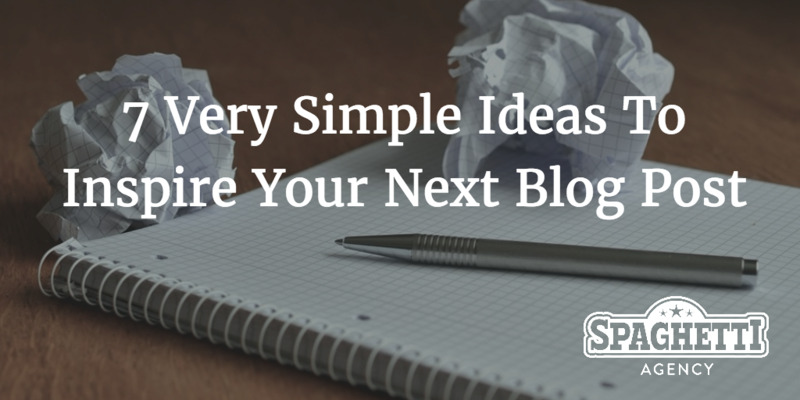 You don’t always have to write a 2,000 word blog piece to get attention and traffic. I’m a member of 4Networking and this year I attended my 100th meeting. I like to look back (you can tell from this blog) and I wrote a blog to help anyone else in the network. I tagged the founder of 4N, Brad Burton, into the share on Facebook and he liked it so much it was pinned to the website banner for weeks! 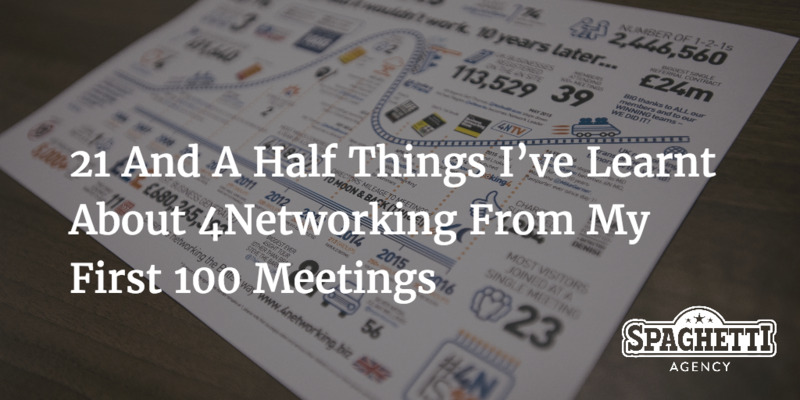 4Networking is a big website and although it didn’t send me as much traffic as the shares on Facebook did, it did give me a chunk of traffic I wouldn’t have had otherwise; helping it to become the second most popular post this year. Takeaway: Write about other people and tell them you have. 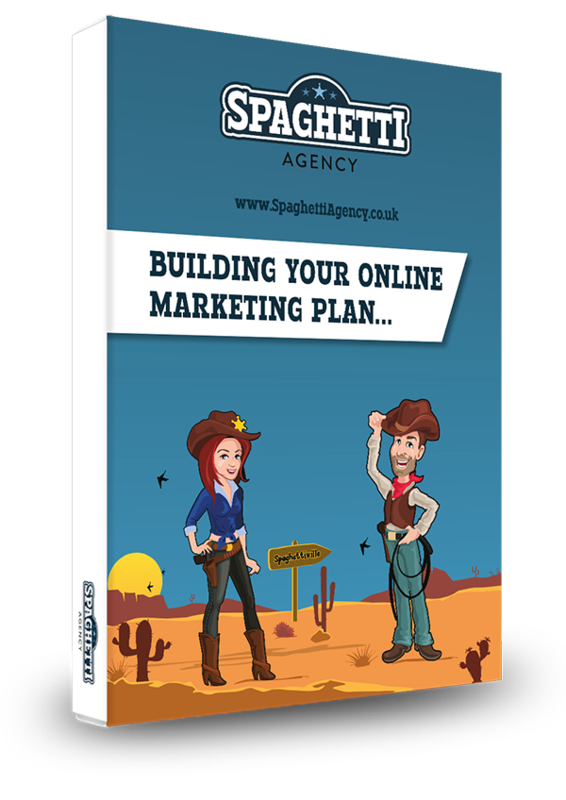 They’re bound to love you for it and they might even share it on their own site which gives you a backlink and some great traffic. Haha… yup – ranting rocks! I have a loyal fan base who like my rants and to be fair everyone loves a pub fight… as long as they’re not in it! This post poked fun at many of the people connected with me on Facebook and dealt with a real pet of hate mine among many others. The people on the internet related to this post and the Facebook traffic trounced all the other shares, as users scrambled to share it to rant indirectly at their friends on Facebook. It was a comical look at the world of Facebook and I worked hard on the title too. 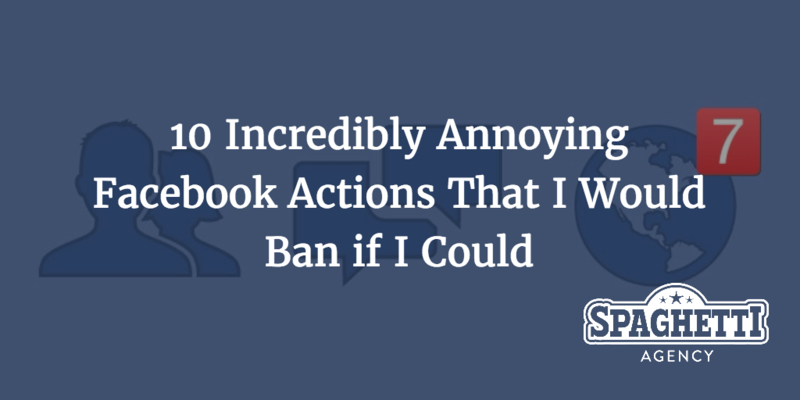 Words like ‘Incredibly’ ‘Annoying’ and ‘Ban’ are all very strong and it gives the posts a firm, angry and attention-grabbing feel. Takeway: Create content that says what others are thinking. I knew many of these annoyances were shared already from online conversations. I listened, I typed and I shared. Listen to your audience and create the content you know they’ll love, resonate with and ultimately share for you. So there you go – 2016 on the Spaghetti Blog! It was the first full year of blogging since our re-brand and we didn’t let up. We published 43 blogs (almost one a week) and created more traffic than in 2015. We also generated more traffic to older content by re-sharing it and re-working it. The Spaghetti Blog also got shared on the email every time, in a new way to our bigger list, which has certainly helped with views. 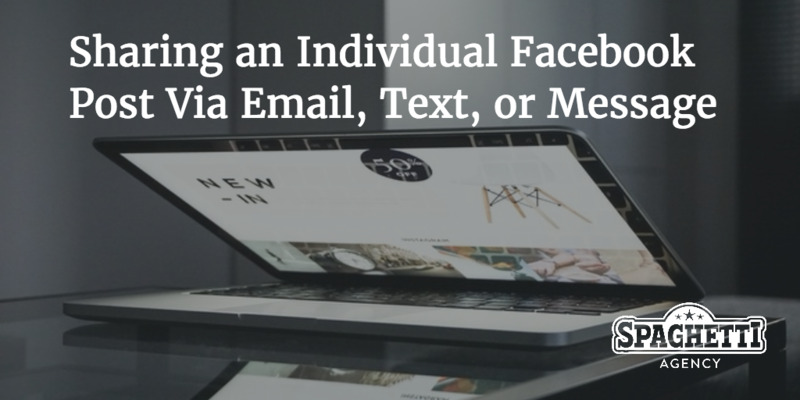 We created content based on conversations, emails, phone calls and data from previous blogs. You must learn from and give to your audience and then check your data. 2017 could be the year you really make it work for you… if you want to.